Often companies do not think about their own employees being their best brand advocates but that could not be further from reality. Empower employees to elevate your brand on LinkedIn. 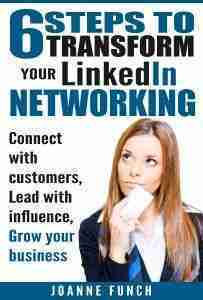 If your company is using LinkedIn primarily for sales people to find leads than you could be missing opportunities. LinkedIn is a powerful personal and corporate brand platform and when you change your thinking about that, you will uncover the many benefits of empowering and elevating your employee’s presence. By training your employees to create dynamic, complete LinkedIn profiles that tell their career story including being an employee of your company they automatically elevate your brand. A completed LinkedIn profile with a current photo is 14 times more likely to be viewed. When anyone is searching your company they can view the profiles of everyone that works at your company with a LinkedIn profile. People will make a judgement about your brand by how your people show up? Personal branding is now being recognized as an important component to a company’s workforce and if you want a competitive advantage now is the time to move forward into empowering and trusting employees to help build your brand. Bottom line here is that your employees are a reflection of your brand and how they show up matters. Employees want to see senior management leading by example so those CEO’s and other C Suite executives that have put thought into creating a complete LinkedIn profile will gain more respect as an employer. This also helps when creating an employer brand. When potential hires are researching your company online (and they will), they will want to know more about the people who could be their colleagues at this company. If the senior executives have great profiles and thus appear to be social savvy than attracting younger talent to your organization is simpler. Word to the wise, if you are a technology company or have IT in your company being social savvy is a must. It is a hard sell otherwise because often times your management is not walking the talk of your brand. Your human resources department will have the pulse of attracting great talent, by involving them in a LinkedIn branding program at your company you will know what potential hires are looking for in an employer, what they like and dislike about your company and/or industry and you can incorporate this information into the profiles of your company leadership. You can also use this intel for creating company video’s and any advertisements for attracting talent to your organization. Your employees can be your best brand advocates if you teach them how to share your company content. Larger companies often have communications staff that find content from departments within a company that is news worthy, smaller companies often don’t have dedicated staff so teaching employees can be a useful way to expand your reach. 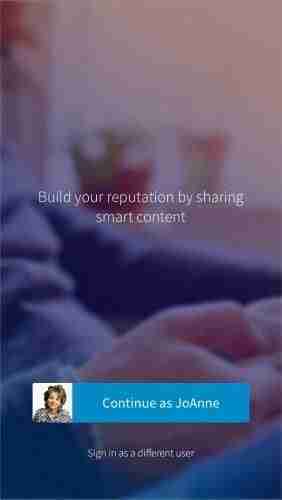 LinkedIn has developed a content curation tool called ELEVATE, a new product that helps companies and employees curate high-quality content, share easily to social networks, and measure the impact. Sharing is simple with the LinkedIn Elevate iOS, Android, and desktop apps. Here is what the iOS app looks like. When you sign in with your work email Elevate matches you with your company and start sending you updates. 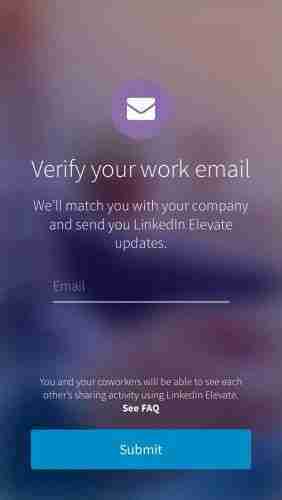 LinkedIn Elevate is available today by invitation only, and will be generally available by Q3 2016. When sharing any form of content with your followers ask yourself the question “Will this content deliver value?” and remember value might be keeping your followers up to date with a topic that they don’t have time to research themselves. It might be saving your ideal audience time and money – whatever it is ask the value question before you post. Your audience will become loyal to your brand when they continue to receive value from you and I think we all get bonus points when the content we share isn’t always self-promoting. By sharing other people’s content that again adds value to your audience, they know where it came from and who consistently shares the good stuff! 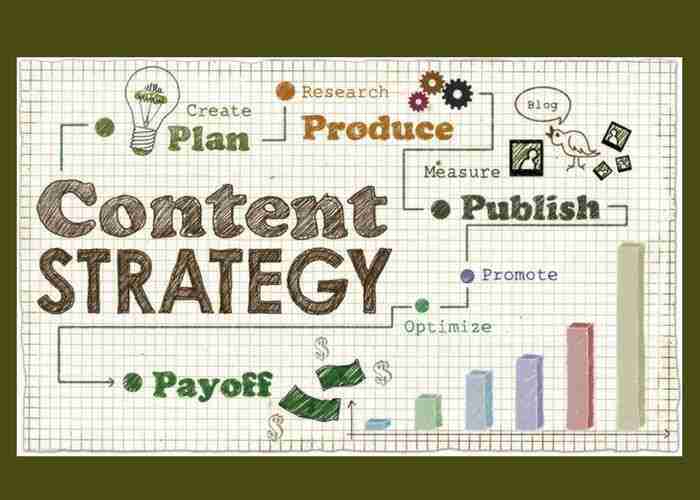 For small businesses creating content can be very time consuming so to find relevant content in other places is a great way to stay top of mind as a resource to your audience. This also builds your credibility and authority in your space. Here are some places to organize, read and share content. The most frequently asked question I get is “How often should you share content?” and my answer is that consistency wins every time! Sharing a post once a week will never get you noticed, sharing something great once per day – everyday will get you noticed. We all have to learn from our own audience what is working and can be measured by the amount of engagement we get. The key to engagement is to ask questions, ask for comments and eve for those people who have just click the thumbs up like button, you ask they what they liked about your post or thank them for the like or better yet suggest that because they liked the post why not share it with their followers. Help your employees elevate your professional reputation on LinkedIn and additional LinkedIn brand building services. Elevating your brand on LinkedIn will pay dividends in increased brand awareness, employer recognition and shine a light on your greatest asset – your employees. By empowering employees to learn how to curate and share content they feel more a part of the company story and what company doesn’t want that benefit. How are you empowering your employees on LinkedIn? Please share your experience and ideas.